Advanced Micro Devices currently commands less than two per cent of the world’s server CPU market, but next year it plans to start recapturing its share from Intel Corp. with new Opteron microprocessors based on “Zen” micro-architecture. According to a media report, AMD’s next-gen server chips offer unprecedented amount of cores and should be pretty competitive. AMD’s highest-performing Opteron microprocessors due next year will integrate 32 cores with simultaneous multithreading technology, according to a report from Fudzilla. Each core will feature 512KB L2 cache (16MB L2 cache in total) and the whole chip will also sport 64MB of unified L3 cache. The central processing unit is also projected to have eight DDR4 memory channels capable of handling 256GB of memory per channel. At present it is unclear whether the upcoming many-core AMD Opteron products will be monolithic, or will use multi-chip-module (MCM) design like today’s server processors from AMD. 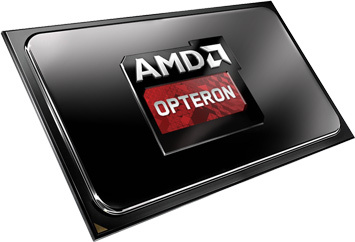 The upcoming AMD Opteron processors will rely on brand-new platform with a new core-logic set. The chipset is projected to support PCI Express 3.0, Serial ATA, four 10Gb Ethernet controllers and so on.